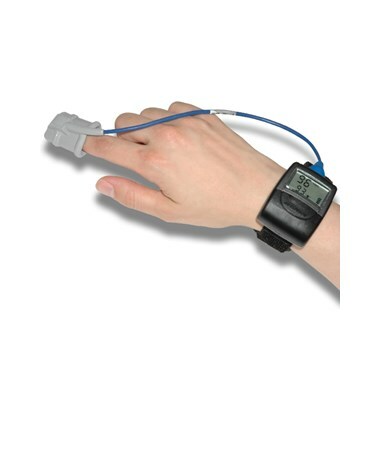 Engineered with Nonin Medical’s proven PureSAT® SpO2 technology, the WristOx2™ wrist worn pulse oximeter (model 3150) delivers highly accurate readings in the widest range of patient populations and settings. From the hospital to the home, the WristOx2™ is ideal for applications including cardio-ambulatory monitoring, remote wireless monitoring and overnight studies—providing the versatility and reliability that clinicians expect from Nonin. 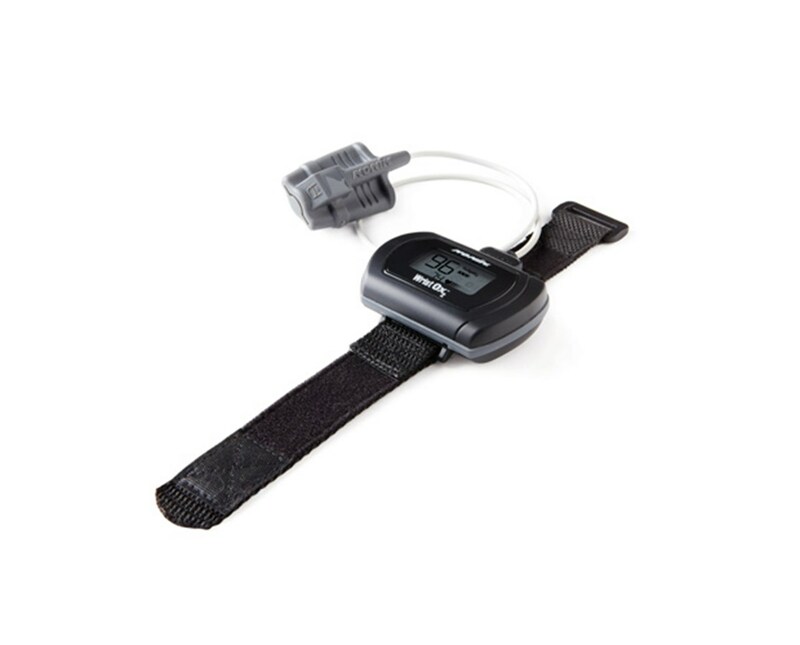 The most advanced wrist worn pulse oximeter available, the WristOx2™ features advanced performance and reporting capabilities including enhanced connectivity and increased memory storage. The WristOx2™'s new ergonomic design wears comfortably like a watch with a large, clear display and enhanced sensor connector design. 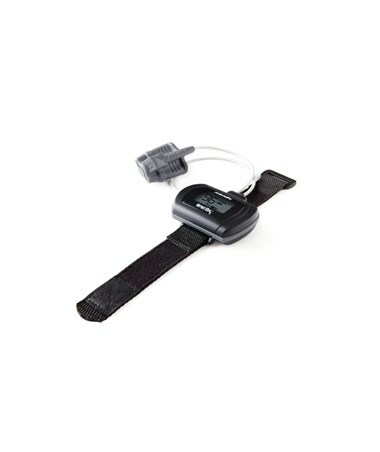 The soft, flexible sensor fits smoothly onto the wearer's finger and connects via lightweight cable to the oximeter. Technological upgrades include Nonin's proven PureSAT® SpO2 technology, which provides a fast, accurate response even in challenging conditions such as motion and low perfusion, Bluetooth wireless capabilities, and nVision® SpO2 software (sold separately) compatibility, which provides even further advanced features. Its high-capacity memory stores 1,080 hours of non-volatile memory at a four-second sampling rate, with additional high-resolution variable sampling options of one or two seconds. The device is powered by two AAA batteries (included for your convenience), which provide 48 hours of battery life without Bluetooth and 24 hours continuous monitoring with Bluetooth. A three-year warranty ensures peace of mind and instrument quality. You can purchase this item right now, online, in just seconds; simply click "add to cart" for hassle-free ordering at the lowest price!